Can tolerate light frosts in warm climates, where convolvulus can be grown as a short-lived perennial. Mix a light application of a balanced organic fertilizer into the soil prior to planting. In midsummer, drench plants with a liquid plant food to stimulate new growth. Lavender, Rosemary and Portulaca. 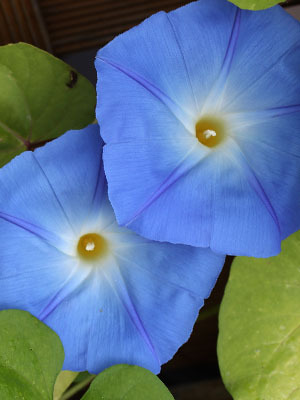 Convolvulus can grow into somewhat floppy plants that benefit from close company with plants that produce lush foliage, such as parsley or ageratum. Soak the hard seeds in water overnight before planting indoors, and keep the seeded pots warm. In areas with long summers, convolvulus can be sown directly into beds after the last frost has passed. This flower is capable of blooming for six weeks in late summer. The plants look best when planted in groups. Color options include blue, white, and pink. This species can reseed in hospitable climates, but the annual form (Convolvulus tricolor) is not invasive.